To Cite: Najafi N, Movahed K, Barzegar Z, Samani S. The Effect of Thermal Comfort on Stress in Female High School Students, Int J School Health. 2018 ; 5(3):e67539. doi: 10.5812/intjsh.67539. Background: Indoor environment, in which we are located, influences our psychological responses, like stress. Thermal comfort is one of the most important factors determining the quality of indoor environment, obtained by calculating predicted mean vote (PMV) and predicted percentage of dissatisfaction (PPD) in a steady-state approach. Several studies revealed that hot or cold temperature (°C) could increase stress. However, other climatic thermal comfort factors like relative humidity (%) and air velocity (m/s) have not been well researched in this regard. Objectives: The purpose of this study was to investigate the immediate effects of undesirable thermal comfort on stress by measuring salivary alpha-amylase levels (sAA) in female high school students. Methods: The present study was conducted in a semi-experimental design with pre-test and post-test and control group. The sample size was 390 female high school students, who were selected by multi-stage cluster random sampling, during years 2016 and 2017, in Shiraz, Iran. Students were divided to intervention and control groups. In the intervention group, thermal comfort was interfered by changing temperature, relative humidity, and air velocity for two hours. Saliva was collected by Cocorometer’s strip and sAA was measured by a hand-held device, Cocorometer (Nipro Co, Osaka, Japan). The pre-test and post-test were compared with each other. Thermal comfort in classrooms was measured by a steady-state model, PMV/PPD index, and data was analyzed by Analysis of Covariance (ANCOVA). Results: Interfering in temperatures and humidity at an average of 4.8°C and 36% for two hours in the intervention group caused thermal comfort to be in an unfavorable range (PMV > +0.5) and dissatisfaction was more than desirable (PPD > 10%). In the intervention group, when the intervention took place at the temperature, relative humidity, air velocity, and the synchronous effect of these three variables (TRHAV), the mean sAA was 43.57, 42.74, 44.23, and 45.93 (KU/L) in the pre-test and 55.91, 52.35, 44.89 and 61.99 (KU/L) in the post-test. Also, in the control group, the mean sAA was 44.73, 47.03, 43.38, and 44.36 (KU/L) in pre-test and 44.04, 47.19, 43.83, and 43.77 (KU/L) in the post-test. The sAA was significantly increased in the intervention group when thermal comfort and its climatic variables, including temperature (P < 0.001) and relative humidity (P < 0.001), was undesirable. No Significant increase was observed in air velocity (P = 0.659). In the control group, the mean sAA did not change significantly in pre-test and post-test. Conclusions: Undesirable thermal comfort increased stress in female high school students. Stress was affected by temperature, relative humidity and the synchronous effect of temperature, relative humidity, and air velocity yet not air velocity, individually. Stress is a significant concern in students and high levels of stress may cause mental health problems and low achievement in classrooms (1, 2). Different stresses are found in the educational environment, for this reason mental health, which is affected by stress, is an important issue for the students (3). One of the environments that students spend their time in is classrooms, therefore, comfortable classroom environments influence the success of students (4). Thermal comfort is one of the most influential environmental stressors that should be considered in the design of educational buildings. “The condition of mind in which expresses satisfaction with the thermal environment” is the definition of thermal comfort (5). Fanger’s PMV and PPD index approach have been extensively used in researches and state human thermal comfort. The PMV and PPD model are used in controlled environments by measurement based on steady-state heat balance approach (6). Furthermore, PMV is calculated through six variables, including metabolism (met) and clothing (clo) related to personal factors and temperature (°C), mean radiant temperature (°C), humidity (%), and air velocity (m/s), as climatic variables (7). Also, thermal comfort is categorized as cold, cool, slightly cool, neutral, slightly warm, warm, and hot category. According to ASHRAE Standard 55, PMV should be between ± 0.5 for classrooms (5). Various quantitative and qualitative methods are used to measure stress (8). One reliable method is to measure stress-related hormones in the human body. All the body systems are affected by stress that has psychological and physical effects on health. Signals are sent to the autonomic nervous system by the cerebral cortex in the presence of stress (9). Also, increase in saliva secretion and sAA occurs when preganglionic nerves of the sympathetic nervous system send signals to epithelial acinar cells in the salivary gland (10, 11). Stress hormones, like cortisol and alpha-amylase, are released in the urine, blood, and saliva, with sAA being a non-invasive method for stress measurement among other methods (12, 13). Several studies have investigated thermal comfort in schools and educational buildings (14-16), yet the relationship between thermal comfort and psychological responses among students was less studied. Furthermore, the effects of other climate variables, such as relative humidity and air velocity on stress, were less discussed by researches. Considering the importance of mental health and prevalence of stress among female high school students, study on the effect of thermal comfort on stress is essential. The aim of this research was to investigate the relationship between undesirable thermal comfort in classrooms and female high school students’ sAA, as a biological indicator of stress. Iran is a country in the Eastern Mediterranean Region and Shiraz city, where the present study was conducted, is located in Iran. Shiraz is characterized by warm dry summers and cool winters, featured a BSh climate according to Koppen-Geiger classification of climate (17), which means a semi-arid (BS), and hot (h) climate (18). The statistical population of this research was all the students attending schools in the academic year of 2016 to 2017 in Shiraz. The sample size was calculated based on the Cochran formula. Participants were 395, tenth to twelfth grade female students, five of which were excluded because of heart and respiratory disease. Overall, 390 Students were drawn from 14 classrooms located in two high schools in district Number 2 in Shiraz, Iran. Multi-stage cluster sampling was used to select high-schools and classes. In the first stage, high schools were selected with collaboration of school principals. Schools were selected only from those in district Number 2 to minimize student cultural differences. At the second stage, due to size of the study population (390 students), in order to have groups of equal sizes, random allocation rule was applied to randomize the students, who were randomized to intervention (n = 195) and control groups (n = 195). Written consent was provided by the parents of all students, for the presence of their children in the study. This study was conducted in May 2017. Cocorometer are hand-held salivary amylase biosensors, used for measuring sAA as a stress biomarker (Nipro Co, Osaka, Japan). Students were banned from drinking and eating one hour before the pretest with the aim of no interference in sAA. Students placed the test strip under their tongue for about one minute. Then, the test strip was fit in the handle cocorometer. Finally, sAA showed a numerical digit on the monitor (KU/L). Thermal comfort was calculated by the PMV index and individual and climatic variables were field checked. Individual variables, including metabolism (Met) and clothing (Clo) were recorded by the researcher for all students by observation. Climatic variables, including temperature, humidity, and globe temperature were measured by WBGT 8778 and air velocity was measured by BENETECH GM8901 Anemometer. Mean radiant temperature was obtained indirectly using globe temperature that could be converted to the mean radiant temperature via the CBE online tool. Measurement of climate variables was carried out at the central point of the classroom, at the student’s head (height of 80 cm), during pretest and after two hours, posttest. In the pretest phase (10 AM), sAA was measured. Also, climatic data, including relative humidity, air temperature, and air velocity were measured in the classrooms to calculate PMV index. Climatic variables were interfered in the intervention group, for two hours. Each variable was intercepted in a separate test while two other climate variables were not interfered. In the final test, all three variables were intercepted. Temperature change was carried out by the electric heater, relative humidity by cold aerator, and air velocity by the standing fan. 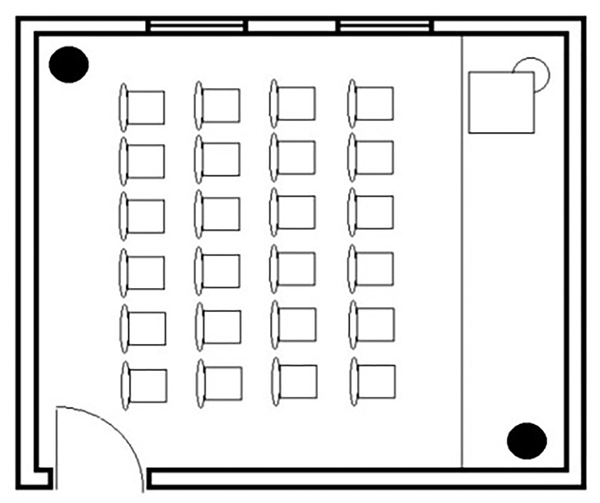 Figure 1 illustrated the position of intervention equipment in the classrooms (Figure 1). Then at the end, sAA and climate variables were re-measured (12 Am). In the control group, no climatic variables were interfered. The data was analyzed by SPSS 21, also, descriptive and inferential statistics included mean, standard deviation, and analysis of covariance (ANCOVA). According to demographic information, 390 female high school students participated in this study. The mean age of students was 17.4 ± 1.47 in the intervention group and 17.1 ± 1.38 in the control group. Classes were selected from one district to accommodate cultural and social adaptation. Body mass index (BMI) was 20.32 ± 3.27 in the intervention group and 20.61 ± 4.07 in the control group. In order to determine the thermal comfort of classrooms in the pre-test and post-test, PMV index was calculated for all of the interventions in the intervention group, which was +0.01 < PMV < +0.5 in the pre-test and +0.25 < PMV < +1.5 in the post-test. Also, the PPD index was less than 10% in the pre-test and more than 10% in the post-test (Table 1). Average intervention at temperature, relative humidity, and air velocity was 4.8°C, 36%, and 0.1 m/s. Abbreviation: TRHAV, temperature, relative humidity and air velocity. In the control group, the following measurements were made: +0.07 < PMV < +0.4 in pre-test and +0.18 < PMV < +0.50 in post-test. Also, PPD index was less than 10% in the pre-test and post-test (Table 2). There was no intervention for climatic variables in the control group. Table 3 demonstrated the mean sAA in female students before and after the intervention in each of the intervention and control groups. In the intervention group, when the intervention took place at the temperature, relative humidity, air velocity and TRHAV, the mean sAA was 43.57, 42.74, 44.23 and 45.93 (KU/L) in the pre-test and 55.91, 52.35, 44.89 and 61.99 (KU/L) in the post-test (Table 3). Also, in the control group, the mean of sAA was 44.73, 47.03, 43.38, and 44.36 (KU/L) in pre-test and 44.04, 47.19, 43.83, and 43.77 (KU/L) in post-test. Analysis of covariance (ANCOVA) was used to study the effect of thermal comfort on female high school students’ stress. Because significance was less than 5% (P < 0.001) in all dimensions except air velocity (P = 0.659), TRHV (P < 0.001), temperature ((P < 0.001), and relative humidity (P < 0.001) at 5% level had a significant effect on the stress level of female high school students (Table 4). aComputed using alpha = 0.05. A semi-experiment was conducted to investigate the effect of thermal comfort and its climatic variables on female high school student with 390 healthy participants in Shiraz, Iran, during May 2017. Increasing secretion of saliva from stimulation of the sympathetic nervous system by salivary glands is a response to stress (10, 11). The present study showed that sAA was significantly increased in undesirable thermal comfort (PMV > +0.5). Increasing temperature, relative humidity, and TRHAV significantly increased sAA (Table 4). In order to ensure that the increase in temperature, relative humidity, and air velocity, changed the thermal comfort from the desired range, the PMV/PPD index was calculated in the pre-test and post-test. In this regard, comfort range for classrooms was -0.5 < PMV < +0.5 and PPD < 10% (16), on average 4.8°C increase in temperature and 36% in humidity led thermal comfort to an unfavorable range in the intervention group (PMV > +0.5 and PPD > 10%) (Table 1). Unlike these two variables, on average 0.1 m/s increases in air velocity did not lead thermal comfort to an unfavorable range in the intervention group (0 < PMV < +0.5 and PPD < 10%). The interventional equipment in air velocity could not significantly change air velocity (Table 1). The average area of the classrooms was 32 m2, with further increase in air velocity, more than 0.1 m/s causing disturbance in student concentration in the classroom and disruption in the test. In the control group, thermal comfort was in the comfort range in pre-test and post-test (0 < PMV < +0.5 and PPD < 10%) (Table 2). Regarding the results of the intervention group, an appropriate environment was provided for undesirable thermal comfort to evaluate its effect on stress level. Although the present study examined the effect of temperature increase on stress, other studies have investigated the effect of temperature reduction on stress. Willem (2006) (19) examined the effect of temperature reduction on stress. According to the results of this study, the decrease in temperature caused an increase in stress. In other words, leaving the comfort zone, decreasing or increasing temperature caused stress. Also, Willem and Tham (2007) (20) examined the effect of 6°C decrease in temperature on stress. Based on the results, 6°C decrease in temperature caused 92% increase of alpha-amylase level that was in line with the present study. Tahara et al. (2009) investigated the effects of humidity and air velocity by comparing an entire ceiling-type air conditioner and the normal-type air conditioner and demonstrated that the SAA could be a useful index of acute environmental assessment that was in line with the present study (21). An increase of 30% relative humidity and 5°C of air temperature in Melikov et al.’s (2013) (22) research increased the sAA, which was consistent with the present study. Lan et al.’s (2011) study investigated increase of 8°C in temperature (from 22°C to 30°C) on stress, which led to no change in sAA, and was not consistent with the present study. The increase of the oscillatory temperature of 2°C from the constant temperature of 26°C in Miura and Ikaga (2016) studies did not increase the sAA, which was not consistent with the present study (23). Also, the effect of thermal comfort on stress was confirmed in Najafi et al. research (24), which is consistent with the results of this study. The current study had several limitations. First, due to the large sample size, stress measurement was time-consuming. Second, this study required the collaboration of school officials and parents of students. In a classroom, it was possible that several students were not allowed to participate in the study and could not attend the classroom. Third, due to the limitations of the classroom area and the students’ tolerance, a standing fan was used to increase air velocity, that did not move the comfort range to desire. It is suggested that further research should be done on male or female students at other educational levels and compare the results with the current study. In this study, the effect of thermal comfort and its climatic variables, such as temperature, relative humidity, air velocity, and TRHAV on female high school student’s stress were evaluated. It was found that on average, 4.8°C increase in temperature and 36% in humidity led thermal comfort to an uncomfortable range in classrooms. Also, uncomfortable thermal comfort increased stress of female high school students. Stress was affected by temperature, relative humidity and the synchronous effect of temperature, relative humidity and air velocity, yet not air velocity, individually. Authors’ Contribution: This article is extracted from the Ph.D. Thesis entitled “Codification a model about effects of thermal comfort on behavioral reaction of female high School students” that is written by the first author under the supervision of the second author and the advisory of the third and fourth authors. 1. Kaplan DS, Liu RX, Kaplan HB. School related stress in early adolescence and academic performance three years later: the conditional influence of self expectations. Soc Psychol Educ. 2005;8(1):3-17. doi: 10.1007/s11218-004-3129-5. 2. Kenny ME, Gallagher LA, Alvarez-Salvat R, Silsby J. Sources of support and psychological distress among academically successful inner-city youth. Adolescence. 2002;37(145):161-82. [PubMed: 12003288]. 3. Lynch S, DeBlieck C, Summers LC, Reinhardt A, Borges W. Adolescent Stress Treatment Study: A Cluster Randomized Trial. Clin Nurs Res. 2018:1.0547738177518E+15. doi: 10.1177/1054773817751760. [PubMed: 29332419]. 4. Oberle E, Schonert-Reichl KA. Stress contagion in the classroom? The link between classroom teacher burnout and morning cortisol in elementary school students. Soc Sci Med. 2016;159:30-7. doi: 10.1016/j.socscimed.2016.04.031. [PubMed: 27156042]. 5. American Society of Heating. ASHRAE 55 ANSI/ASHRAE standard 55-2010, ASHRAE environmental conditions for human occupancy. Atlanta, GA, USA: Refrigeration and Air Conditioning Engineers, Inc; 2010. 6. Fanger PO. Thermal comfort. Analysis and applications in environmental engineering. 1970. 7. Rupp RF, Vásquez NG, Lamberts R. A review of human thermal comfort in the built environment. Energy Buildings. 2015;105:178-205. doi: 10.1016/j.enbuild.2015.07.047. 8. Curta I, Mohirta I, Ene C, Velcea MN, Rosca IC. Stress Assessment Using Modern Measurement Methods. Sci Res Educ Air Force. 2017;19(1):99-108. doi: 10.19062/2247-3173.2017.19.1.10. 9. Chandola T, Heraclides A, Kumari M. Psychophysiological biomarkers of workplace stressors. Neurosci Biobehav Rev. 2010;35(1):51-7. doi: 10.1016/j.neubiorev.2009.11.005. [PubMed: 19914288]. [PubMed Central: PMC2891393]. 10. Cozma S, Dima-Cozma LC, Ghiciuc CM, Pasquali V, Saponaro A, Patacchioli FR. Salivary cortisol and alpha-amylase: subclinical indicators of stress as cardiometabolic risk. Braz J Med Biol Res. 2017;50(2). e5577. doi: 10.1590/1414-431X20165577. [PubMed: 28177057]. [PubMed Central: PMC5390531]. 11. Kapsdorfer D, Hlavacova N, Vondrova D, Argalasova L, Sevcikova L, Jezova D. Neuroendocrine Response to School Load in Prepubertal Children: Focus on Trait Anxiety. Cell Mol Neurobiol. 2018;38(1):155-62. doi: 10.1007/s10571-017-0544-7. [PubMed: 28861683]. 12. Inagaki T, Nagahama M, Kawano K, Wake R, Miyaoka T, Horiguchi J. Increase in Salivary Alpha-Amylase Levels among Non-Attending Junior High School Students Diagnosed with Social Anxiety Disorder. J Behav Brain Sci. 2017;7(8):360-9. doi: 10.4236/jbbs.2017.78027. 13. Liu W, Zhong W, Wargocki P. Performance, acute health symptoms and physiological responses during exposure to high air temperature and carbon dioxide concentration. Building Environ. 2017;114:96-105. doi: 10.1016/j.buildenv.2016.12.020. 14. Haddad S, Osmond P, King S. Application of adaptive thermal comfort methods for Iranian schoolchildren. Building Res Inf. 2016:1-17. doi: 10.1080/09613218.2016.1259290. 15. Kim J, de Dear R. Thermal comfort expectations and adaptive behavioural characteristics of primary and secondary school students. Building Environ. 2018;127:13-22. doi: 10.1016/j.buildenv.2017.10.031. 16. Zomorodian ZS, Tahsildoost M, Hafezi M. Thermal comfort in educational buildings: A review article. Renew Sustain Energy Rev. 2016;59:895-906. doi: 10.1016/j.rser.2016.01.033. 17. Kottek M, Grieser J, Beck C, Rudolf B, Rubel F. World Map of the Koppen-Geiger climate classification updated. Meteorologische Zeitschrift. 2006;15(3):259-63. doi: 10.1127/0941-2948/2006/0130. 18. Rubel F, Kottek M. Observed and projected climate shifts 1901-2100 depicted by world maps of the Köppen-Geiger climate classification. Meteorologische Zeitschrift. 2010;19(2):135-41. doi: 10.1127/0941-2948/2010/0430. 19. Willem HC. Thermal and indoor air quality effects on physiological responses, perception and performance of tropically acclimatized people. 2006. 20. Willem HC, Tham KW. Moderate thermal stress affects salivary alpha-amylase concentration and mental work alertness. Epidemiology. 2007;18(Suppl). S14. doi: 10.1097/01.ede.0000276450.24714.78. 21. Tahara Y, Morito N, Nishimiya H, Yamagishi H, Yamaguchi M. Evaluation of environmental and physiological factors of a whole ceiling-type air conditioner using a salivary biomarker. Building Environ. 2009;44(6):1156-61. doi: 10.1016/j.buildenv.2008.08.012. 22. Melikov AK, Skwarczynski MA, Kaczmarczyk J, Zabecky J. Use of personalized ventilation for improving health, comfort, and performance at high room temperature and humidity. Indoor Air. 2013;23(3):250-63. doi: 10.1111/ina.12012. [PubMed: 23130883]. 23. Miura M, Ikaga T. Human response to the indoor environment under fluctuating temperature. Sci Technol Built Environ. 2016;22(6):820-30. doi: 10.1080/23744731.2016.1184550. 24. Najafi N, Movahed K, Barzegar Z, Samani S, Ikaga T. Environmental factors affecting students' stress in the educational environment: A case study of Shiraz schools. Int J School Health. 2018;5(2). e67153. doi: 10.5812/intjsh.67153.